adidas Originals is bringing back the adidas Forum Leather Mid Top for the upcoming Fall/Winter 2017 season. The basketball shoe has been a classic for years and now the Three Stripes have revamped the mid-top sneaker. One of the pairs that’ll be available comes dressed in a Beige color scheme. Featuring a leather textured upper with perforated detailing on the toe cap, White Three Stripes on the sides with hits of Blue around the collar. 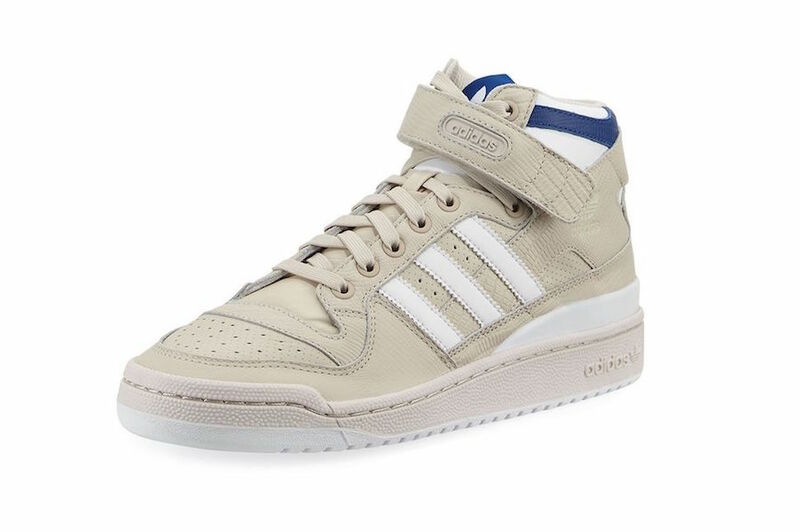 Take a closer look at the adidas Forum Leather Mid Top below and look for them arriving to select adidas Originals retailers like Bergdorf Goodman.